Want to purchase tickets to our Perth Frocktober event? Click here. Happy Thursday! Stopping by quickly this morning to show off my frock of the day and to wish you all a wonderful almost weekend! It’s nearly Saturday which means it’s almost event time. I’m so excited. It’s going to be such a gorgeous day. If you’re interested, tickets are only $15 and cover food and drinks on the day, but if you need more convincing check out this post here for all the information on sponsors, prizes, the happenings of the day and more. 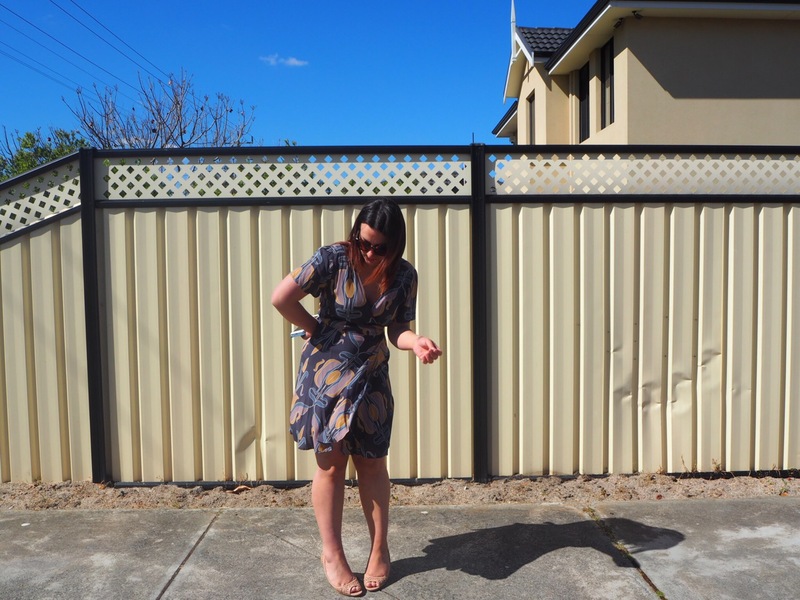 Today’s frock is a Dotti beauty I had my eye on for months, but couldn’t justify purchasing until it was on sale. 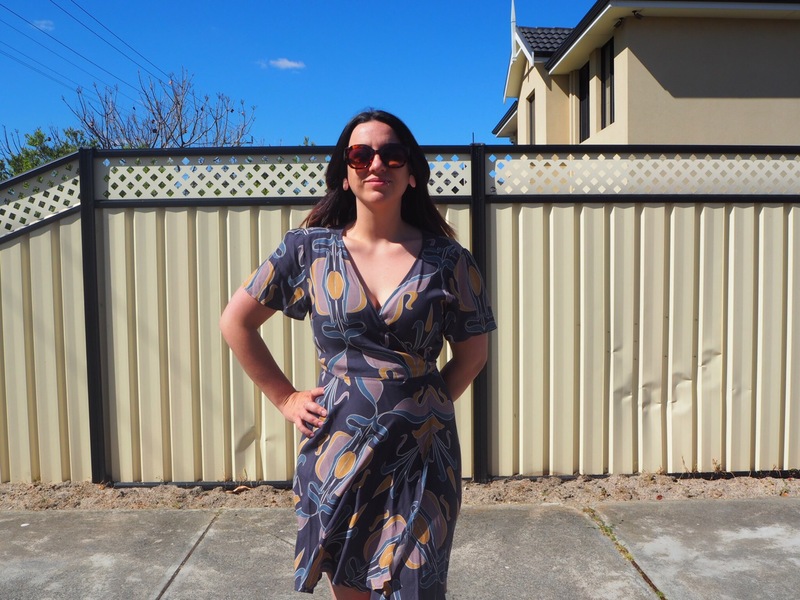 You guys know I like to keep my wardrobe “cheap and cheerful” and I couldn’t really see myself paying approximately $70 for a flimsy wrap dress. 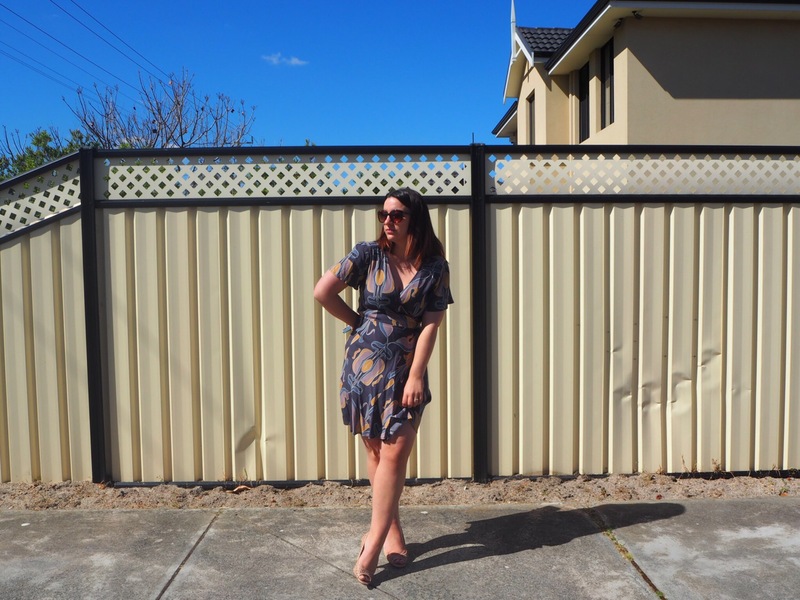 I fell for the print and colours immediately, so I made sure I kept my eye out every time I visited Dotti to monitor the price. I managed to grab it for a tiny $30 (less that half price) at the Dotti outlet at Watertown which made me very happy! Watching for sales really does pay off! With the money I saved on this frock I actually spent on a second frock which is even more exciting. Two for the price of one! Waking up this morning the weather is a little sketchy so I’ve layered the dress with stockings and a cardigan for work, which is probably a good idea as the length is a little on the shorter side. I also added a black slip underneath to give the bust area a little more coverage. Versatile too! 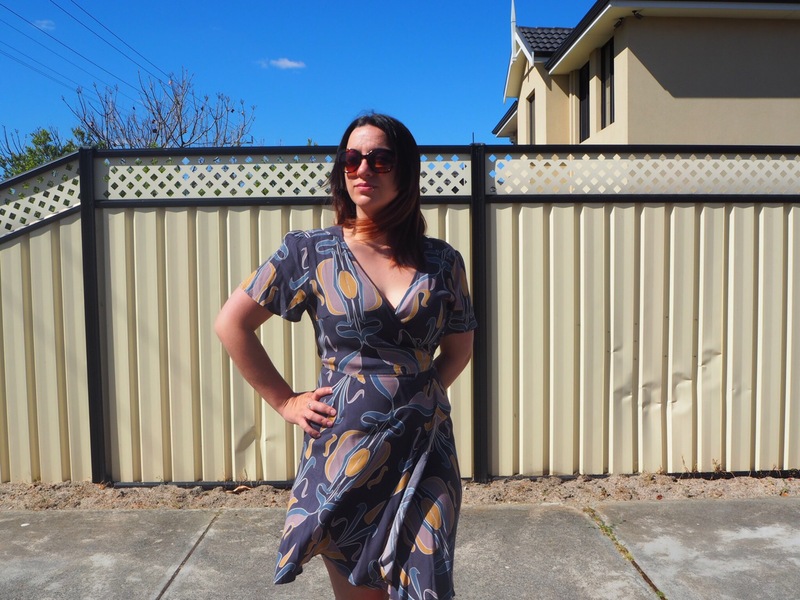 If you’re a fan of the dress you may still find it in a Dotti outlet, I only grabbed it a few weeks back. I’m off on a very exciting Frocktober adventure this afternoon which I’ll share tomorrow, plus the opening of a new Perth bar which should be awesome too. No rest for the wicked! What are your plans this evening/weekend? Anything fun to share? I love this dress! I’m pretty sure I have never paid full price for anything from Dotti, it’s too expensive for me, haha! I’ve even managed to find a few of my favourite Dotti pieces in thrift stores for as little as 50 cents!! Now that’s a score. I love the op shops! Very pretty dress. I love it. Thanks T! I love the print on this one! Excellent pick up. I love it when patient sale stalking pays off. I did the same in Dotti many many years ago with a print pencil skirt . . . and I still have it in The Vault! Aren’t they just the best! Obsessed! You are so patient waiting for a sale. Quite often when I see something I love I just can’t wait to buy it! A poor strategy on my behalf because unlike you it means I can only afford half as much! You’ve inspired me to try and restrain myself next time I see something I want and wait for a sale. Hmmm …. see how I go! Fingers crossed. My fingers are crossed for you Inge! Be strong!! !